Microsonic Systems new patented Bulk Lateral Ultrasonic™(BLU™) technology works by using a Micro-Electrical-Mechanical Systems (MEMS) based transducer, which when excited with RF power generates ultrasonic waves with very high level of lateral ultrasonic thrust. 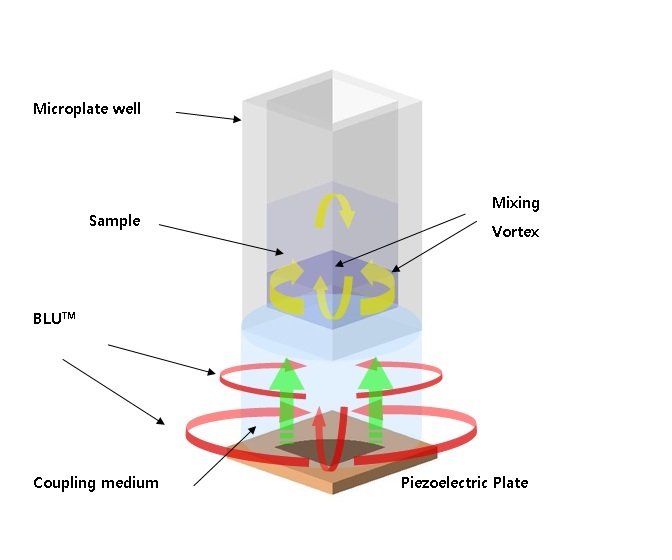 By coupling the waves into a sample container, it causes rotating lateral vortex which enables rapid and controllable sample processing in microplates, tubes and other sample vessels. The MEMS-based transducer effectors can be miniaturized and duplicated numerous times onto a single piezoelectric plate. Microsonic Systems uses a transducer with 384 effectors for the HENDRIX SM100 ultrasonic fluid processor, enabling an all-on operation that allows the user to mix entire micro plates simultaneously. In addition, the process is completely contact-free; nothing touches the samples in the wells, ensuring operations with zero cross-contamination. Because the intensity of the motion created by the BLU technology is highly controllable, it has been applied to a wide range of life sciences applications. In Drug Discovery, the technology can be used for many applications - from gentle mixing in cell-based assays to compound solubilization. For Genomics, the BLU technology has been applied to NGS sample preparation (including lysing cells and shearing of DNA). 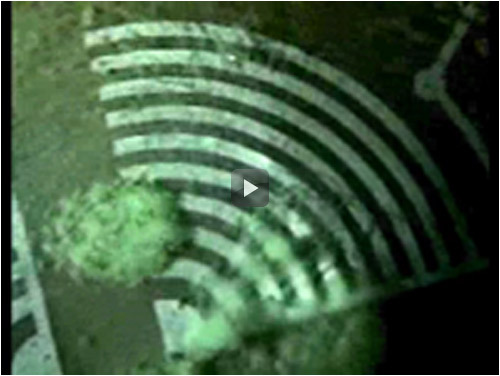 The company is investigating other potential applications using the BLU technology. For more information, please contact sales. The MEMS micromixer cell in action - 10 micron polystyrene beads are added in water to show the lateral fluidic motion generated by the BLU waves.